A third straight NBA title. A third straight Finals MVP Award. 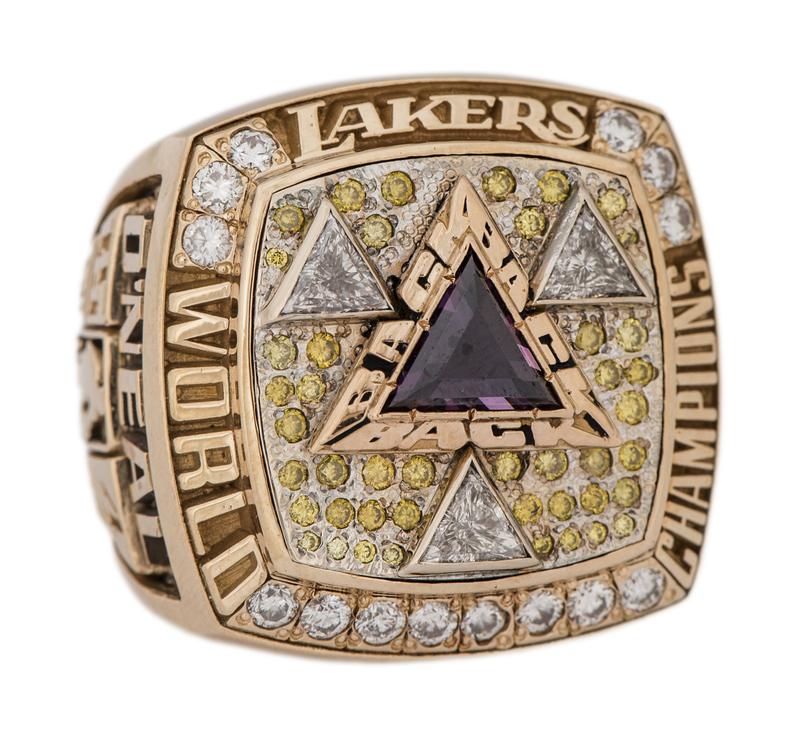 Shaquille O’Neal's 2001-02 season was one for the ages as the Big Diesel led his Lakers to the capstone championship in their millennium dynasty. 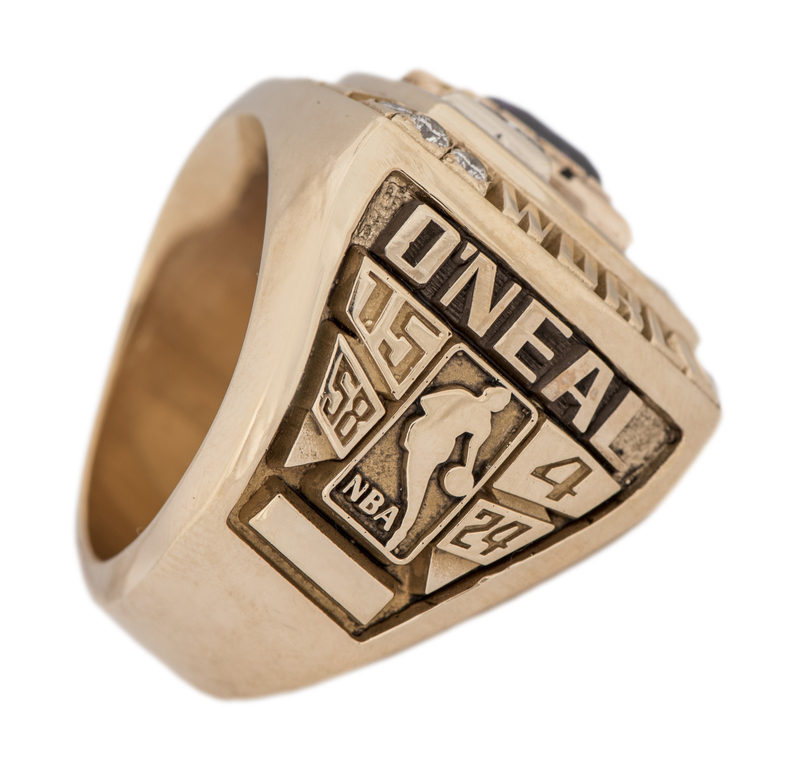 O'Neal hit his playoff stride in Game 6 of the Western Conference Finals, posting 41 points and 17 rebounds against Sacramento. Then, in an NBA Finals sweep, he decimated New Jersey's strong defense with 36 points, 12 rebounds and 3 blocks per game while shooting 60% from the floor (plus an unusually high 66% from the foul line). The second contest at the Staples Center saw Shaq put up 36 points in just the first three quarters, and then wind up with 40 points and 8 assists in the 106-83 rout. On a Top 10 countdown for ESPN.com, writer and NBA executive Jeff Hollinger ranked Shaq's 2002 Finals performance as the 9th best in history—one notch ahead of Jordan's "The Shrug" series. As Hollinger points out, not only did O'Neal set NBA marks for points and free throw attempts in a 4-game series, but he also committed just seven total fouls. 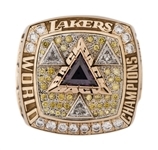 Following the Three-Peat, Shaq ordered a small number of official 2002 Lakers championship rings for his inner circle of family and friends. 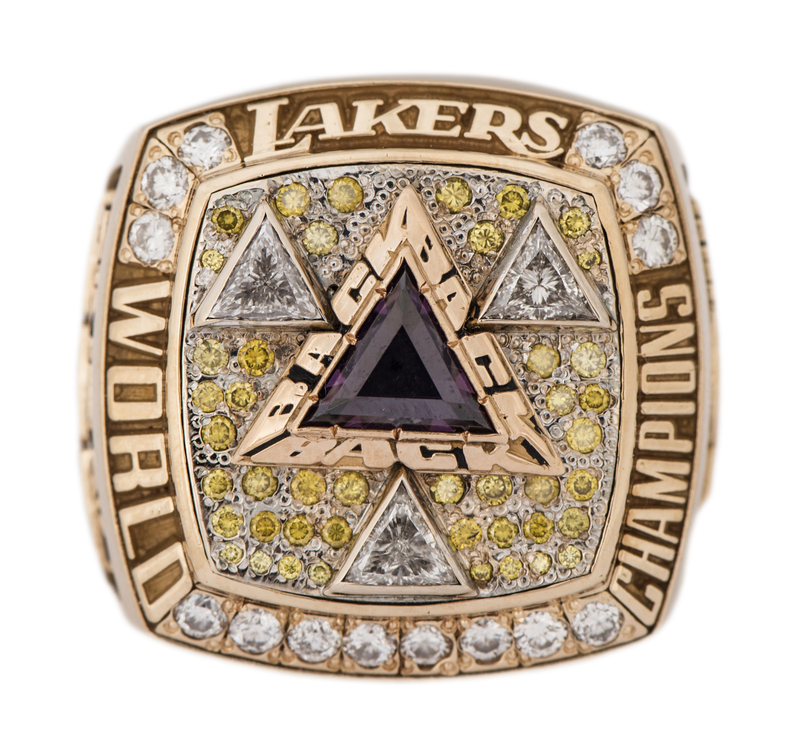 This stunning Near Mint example features the "Back-to-Back-to-Back" multi-pyramid face design along with "LAKERS / WORLD CHAMPIONS," "O'NEAL," the Lakers and NBA logos, the team's postseason and regular-season records ("15-4," "58-24"), "SLAM DUNK," "2002" and a small microphone in tribute to announcer Chick Hearn. 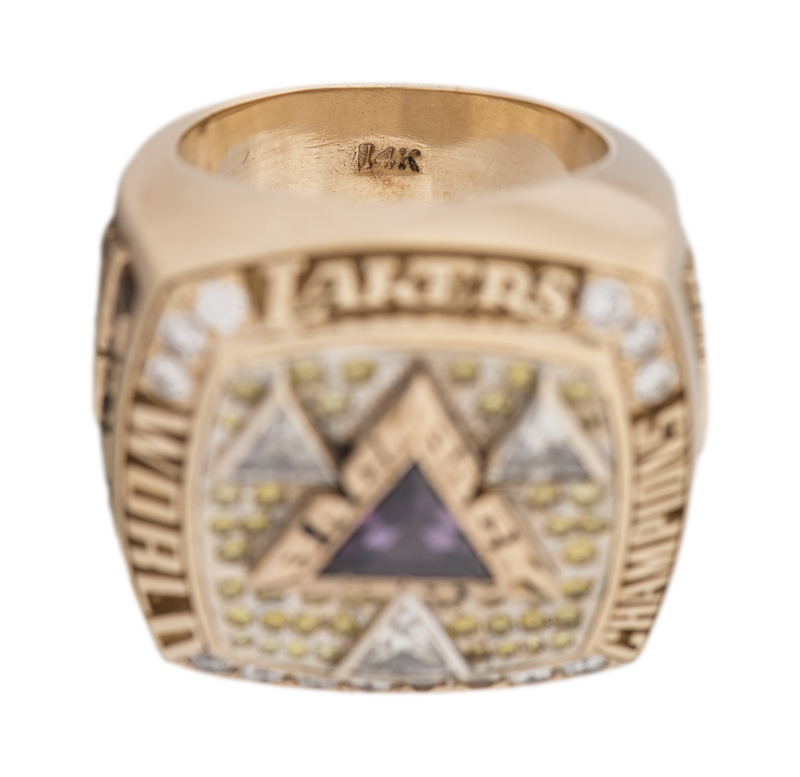 The size-10 inner band is engraved "14K." 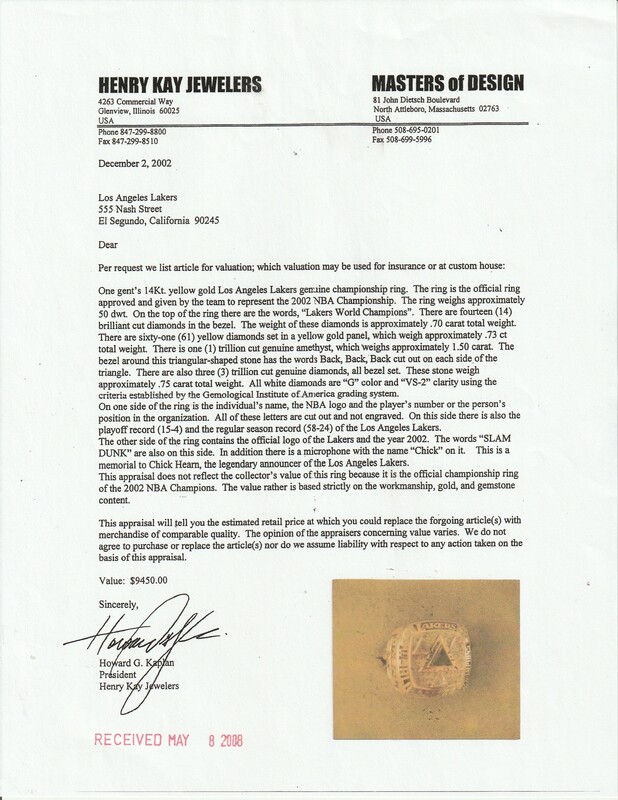 According to the accompanying 2002 appraisal letter from Henry Kay Jewelers/Master of Design, the intrinsic value of the gold, gemstones and workmanship alone here amounts to $9,450—without accounting at all for the ring's inherent collectible value due to its direct connection to Shaq. 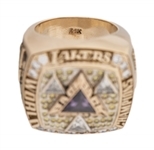 The gem content showcases a trillion-cut genuine amethyst (1.50 carats), 3 trillion-cut genuine diamonds (.75 carat), 14 brilliant-cut diamonds (.70 carat) and 61 yellow diamonds (.73 carat). 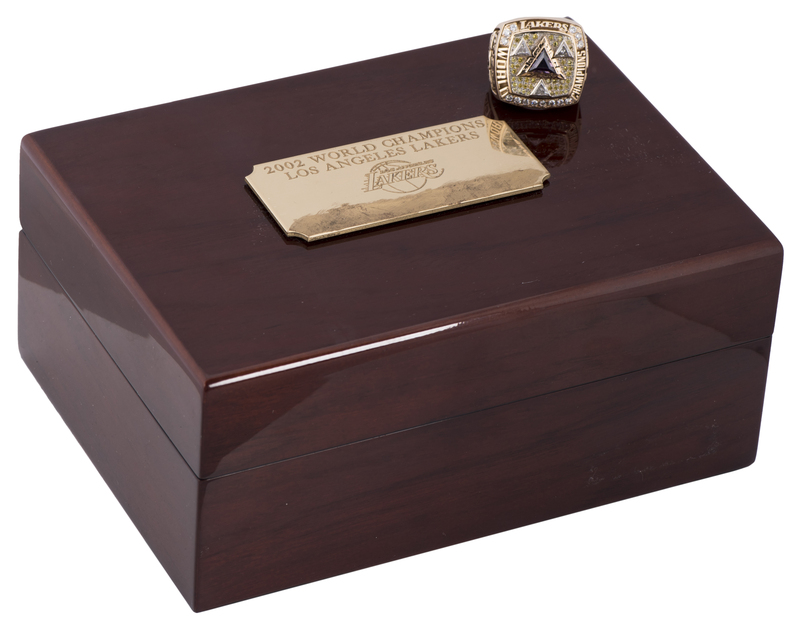 The deluxe official presentation box displays a plaque engraved "2002 World Champions / Los Angeles Lakers..." with the recipient's name having been removed from the surface. 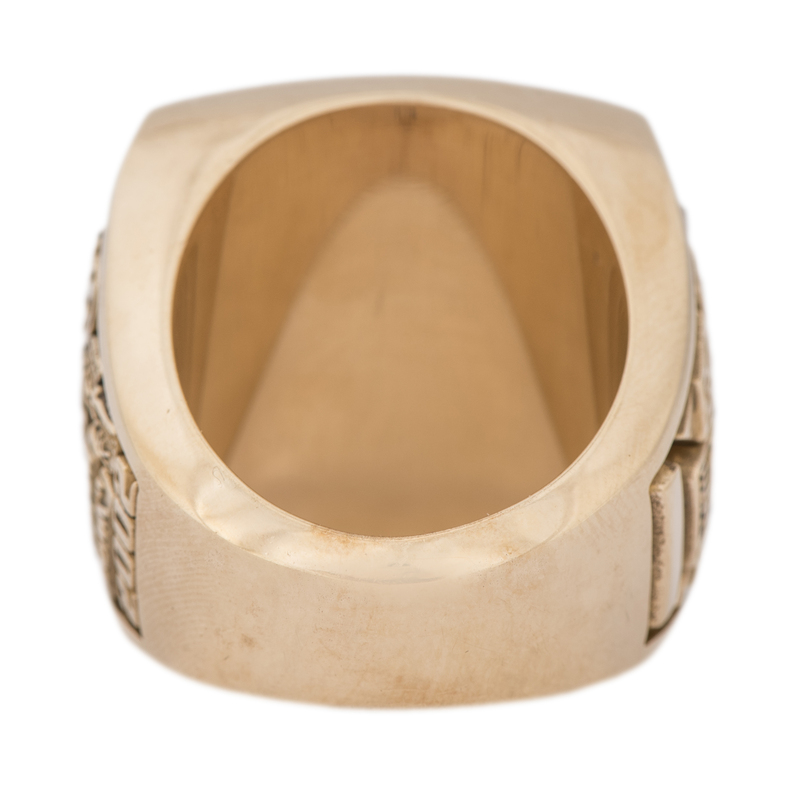 A 2008 auction purchase LOA is also included. 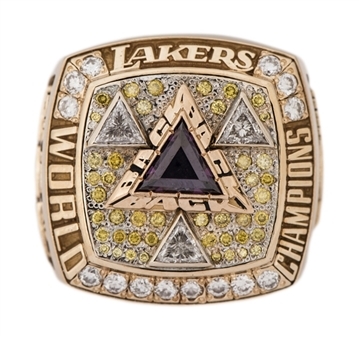 Finally, as a measure of relative value, it merits mention that Kobe Bryant's father Joe Bryant's 2000 Lakers championship ring—likewise a gift manufactured to the exact same top-quality standards offered here, sold for $173,102 in 2013.